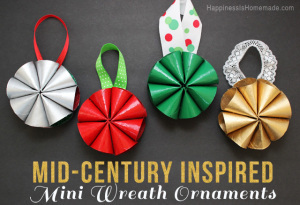 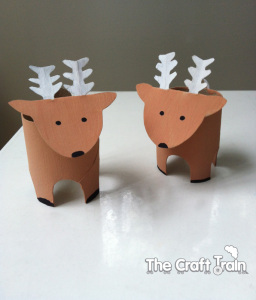 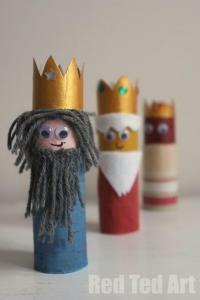 We’ve had so much fun making Christmas crafts with toilet paper rolls, that I thought I would have a little look around and see what other loo roll or cardboard tube inspired Christmas creations there are out there. 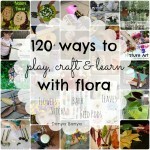 Wowzers, there are thousands! 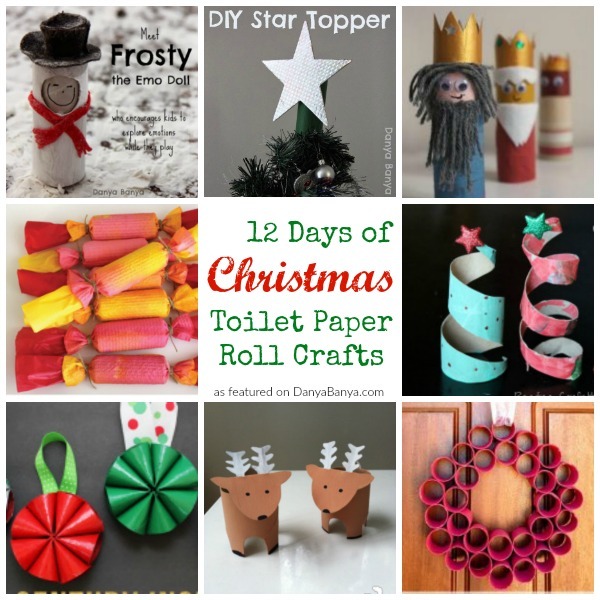 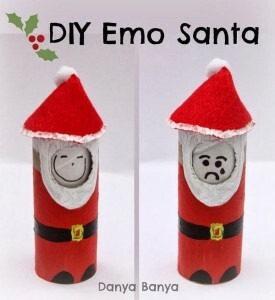 So in the lead up to the big day, here are my favourite twelve (days of Christmas toilet paper roll crafts)…. 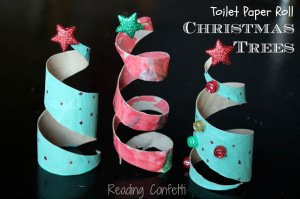 our toilet roll advent Christmas tree! 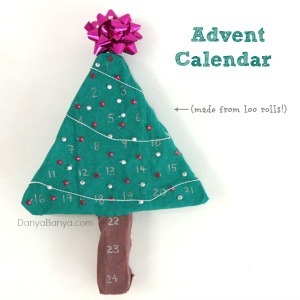 and a toilet roll advent Christmas tree. On the sixth day of Christmas, my true love gave to me…. 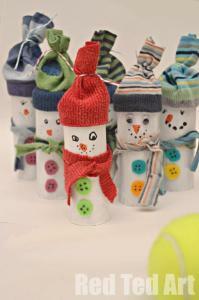 Use your kids footprints to make your own adorable polymer clay mistletoes! 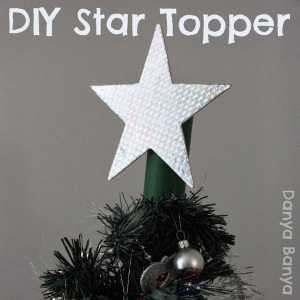 these fingerprint ‘Christmas Lights’ cards are easy enough for toddlers and preschoolers to do together (or individually if you prefer to keep your sanity). 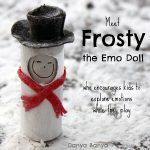 my kids played with this gingerbread playdough for ages and ages – long enough that I could enjoy a cup of tea even! 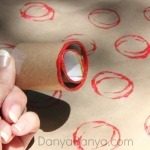 this DIY fireworks stamp painting idea is consistently one of the most popular posts on this blog. 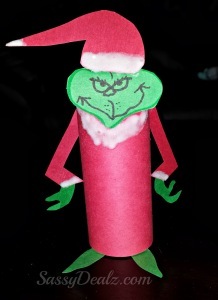 My kids have done this activity a few times now and love it every time! 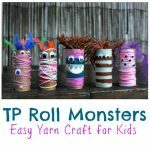 and these little TP Roll Monsters are super cute! 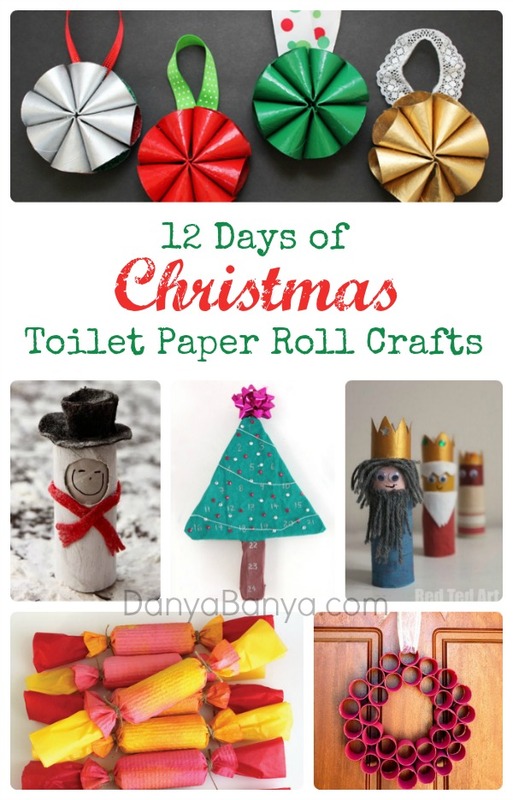 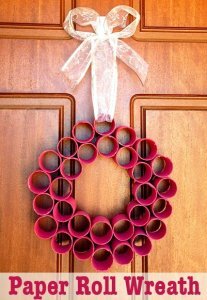 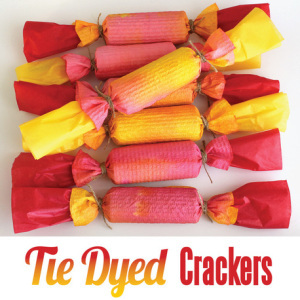 AND there’s even more ideas on our Merry Christmas and Toilet Paper Roll crafts boards on Pinterest.